Autumn is my favorite season for portraiture. It is a wonderful season full of mild weather. 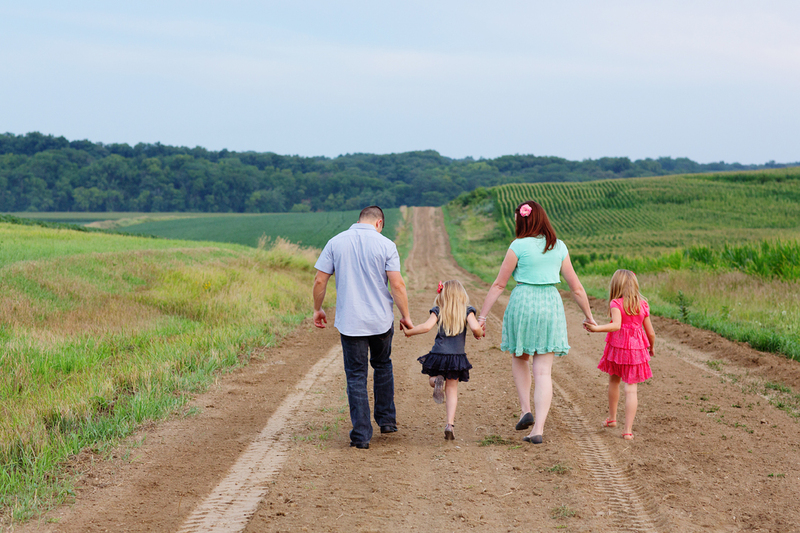 My fall seasons are usually filled with wonderful families and capturing special moments. Most families come to their session with portraits for their holiday cards in mind. From the session, they have more than just a beautiful portrait to share with loved ones as they send out holiday greeting. They have images that capture them with their children, their love for each other, and this moment in their lives. I think it is so important to capture these moments. Every year, I update the portraits of my family and my children hanging on my walls. Few things tug at my heartstrings more than looking through the portraits in the frame as I add the new one and seeing just how much we have changed. There is something so special about having such a beautiful reminder of the fleeting moments in our lives. My oldest is about to turn seven. Seven! I don't know how this happened. Really, isn't she still supposed to be toddling around, pulling on my pant leg, and asking to be cuddled? Her younger sister will be five in a few short months and is now is preschool. My babies aren't babies anymore. It is so amazing to look back through their portraits to see how they've changed. Too often, mostly from moms, I've heard the excuse "I can't be in pictures until I lose ten pounds" or "I'm not looking my fittest, I'll just do pictures of the kids." I hear you ladies. I'm there 100%. I've had two kids, spend a good deal of time in front of a computer working, and have struggled with thyroid problems in the past. I'm not my ideal. There's still a little bit of baby belly sitting right there for all to see. My arms are far from toned just like the rest of me. Despite my insecurities, there has not been a single year since the birth of my oldest that I have not been in front of that camera with my family. Sure, I hid my belly with my baby or hid slightly behind my husband to hide what I didn't want the camera to see, but I was there smiling and laughing with the most important people in my world. It is so rare in our society to be completely satisfied with ourselves, especially in terms of physical appearance. You know what? Your kids don't care whether you are 130 pounds or 230 pounds. You are their mother, something far more beautiful than words could ever describe. So seize this moment. Your children are never going to be so little as they are today. Days turn quickly into weeks, weeks swiftly become months, months become years in the blink of an eye, and years fly by before we know it. Capture this moment with your family. Capture the laughter, the hugs, and the love. P.S. 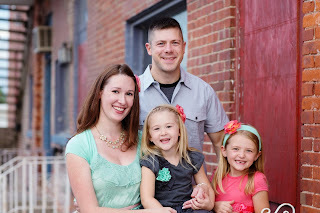 Thank you to Greg Frieden for capturing our family portraits!